I think I can officially declare this my new go-to recipe for a quick chocolate cake now that I’ve made it 3 or 4 times in the past month. A couple of years ago Adam and I discovered Baked in Brooklyn. The first time we went we got a few different things to try at home, but the Coca-Cola Bundt Cake has become the stuff of legend in our house. It was the best chocolate cake either of us had ever had. We’ve since made several more trips back to Baked, but we have never managed to get our hands on this cake again. It is so elusive, so rare. The Baked cookbook has a recipe for root beer cake, but I wasn’t convinced this would be quite the same. 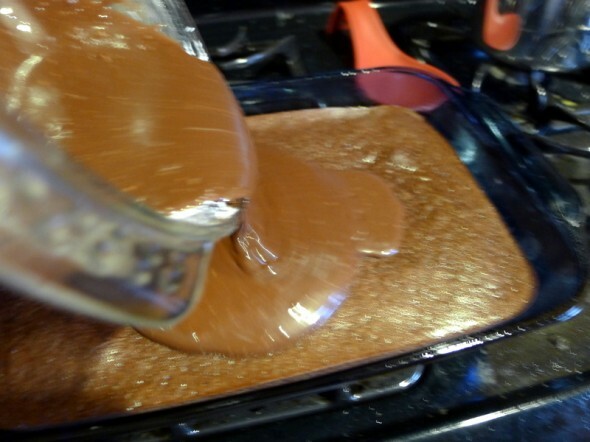 So fast forward to August, when I finally decided to Google around and see if anyone had cracked the recipe of the Coca-Cola cake. And I found tons of recipes for this crazy 1950s-style Southern classic, something that I was completely unaware of during my college years on Georgia. So all at once I realized that I had failed as a fake Southerner all these years, and I became determined to remedy that situation STAT. I liked this recipe from May Flaum the best because it didn’t call for a box cake mix (we roll from scratch at the Reeve house). I made it once with the cinnamon, Adam loved the cake but was not a fan of the spice. I could barely taste it, but he’s super sensitive to cinnamon, apparently. So I made it 2 days later without the cinnamon so he could take a batch to work to celebrate something or other with Dan and Ken. Then I’ve made it at least once since then, possibly twice. It whips up so quick, is so moist, and is just so good it’s wrong. Now, this is NOT a pinky-in-the-air chocolate cake. This is down home, almost like eating fudge. So if you’re into that sort of thing, this is for you. If you’re not into that sort of thing, you might just be too food snobby for me. One old-school can of regular Coke is enough to make a cake with glaze. Exactly enough, it’s pretty perfect. 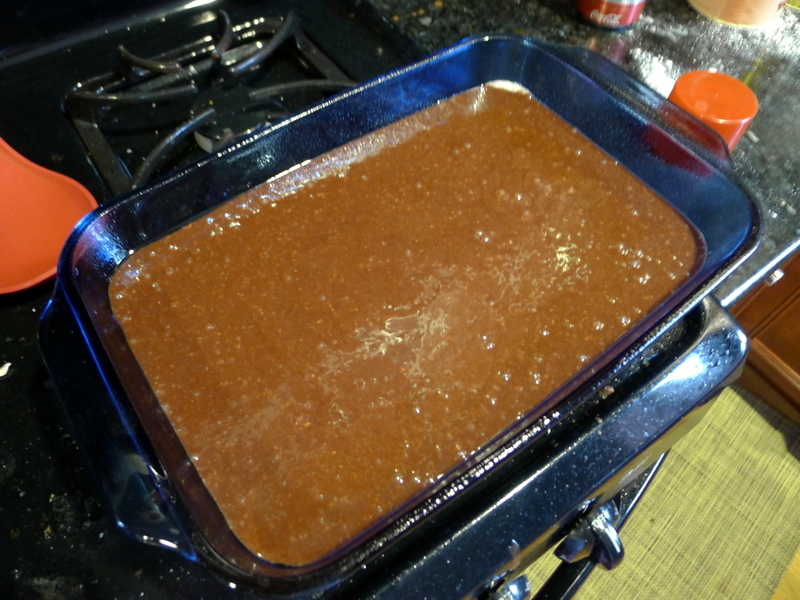 Make the cake: Preheat the oven to 350 degrees F and grease a 9×13 pan. Mix the flour, sugar, salt, and baking soda/powder (I did this in my stand mixer). Set aside. 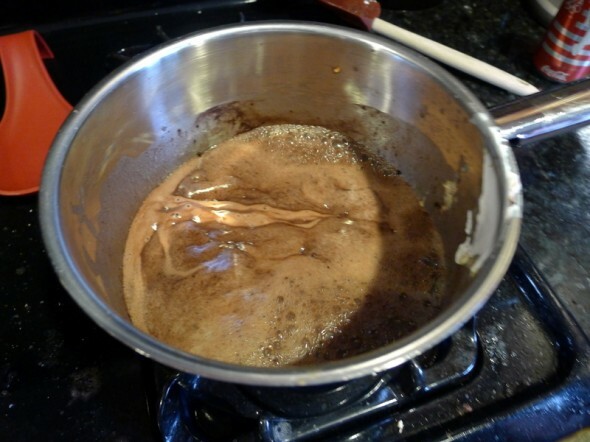 In a saucepan over medium high heat combine the butter, unsweetened cocoa powder, 1 cup of the Coca-Cola, and the buttermilk (or yogurt/sour cream/etc.). Cook it until it boils. 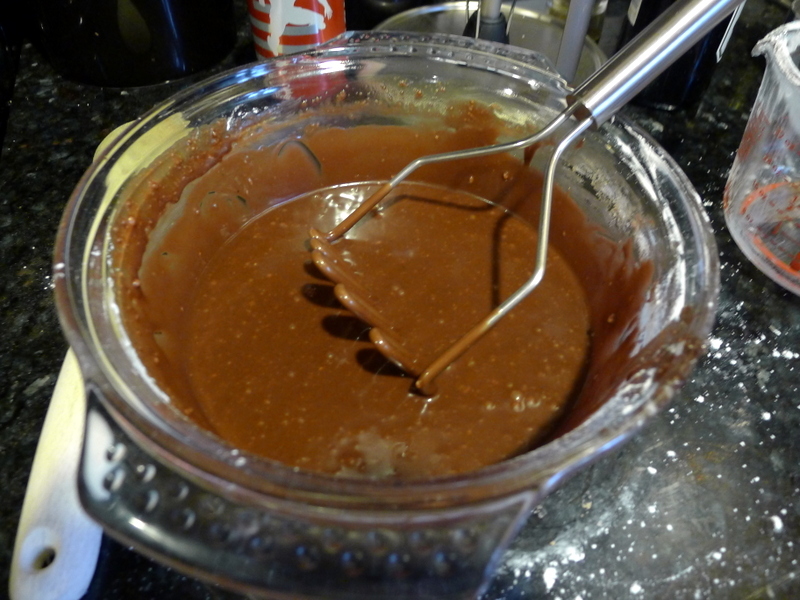 Remove from the heat and combine with the flour mixture. Whisk or mix it together. Then add the 2 eggs and vanilla and combine again. Pour it in the greased pan and bake it for 30 minutes. Do NOT over-bake it; go with under-baked if you’re not sure it’s done. 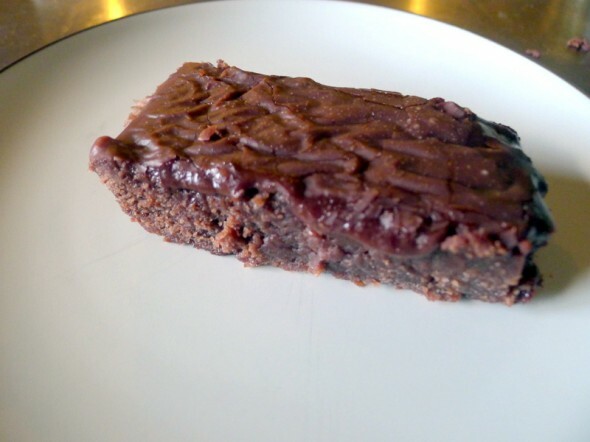 It is super fudgy. When that is maybe 10 minutes away from done, make the glaze. Mix the butter, cocoa powder, and remaining half cup of Coke in a small saucepan and bring it to a boil. Remove from the heat and stir in the 4 cups of confectioners sugar a bit at a time. I even use a potato masher to break up all the little sugar bits. Pour the warm glaze over the hot cake. Let it sit for at least a few minutes and eat it. It’s really good hot and still really good the next day cold. I might actually have to go make one this weekend…. I too have tasted this cake. It is everything wonderful that you describe here! Mmmm, may I suggest the famous coca cola ham (made at the Rat-Winds every 4th and probably for the June weddding) as a precursor to a perfect meal? Served, of course, with ice cold coke, or if you prefer a libation, Rum and Coke!